Call of Duty Modern Warfare Remastered has been originally released as an added bonus for the special editions of last year’s Call of Duty Infinite Warfare, with publisher Activision stating time and time again that the game wouldn’t receive a standalone release. Very few believed the publisher’s statements, and it seems like they were right, as a standalone release is apparently coming soon. Charlie Intel recently received a new tip regarding the Call of Duty Modern Warfare Remastered standalone release complete with photos of the game’s case. According to the tipsters, the game is set for a June 27th release. 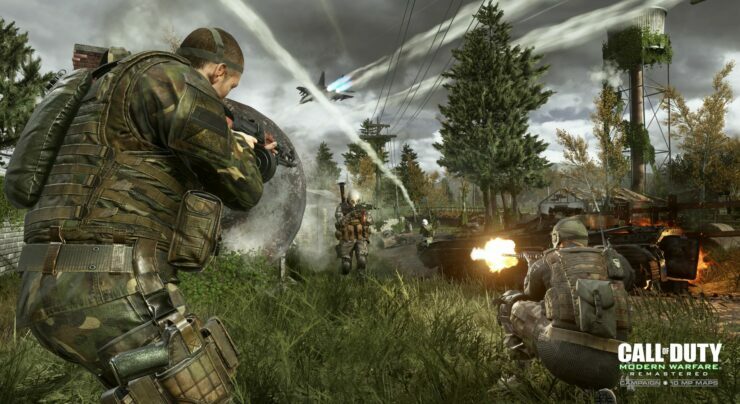 At the same time, other retailers claim a June 20th release, so there’s the chance that Call of Duty Modern Warfare Remastered might even release later today. The game will apparently cost $39.99. Call of Duty Modern Warfare Remastered almost eclipsed Infinite Warfare in several ways. In his review, Dave praised the game as one of the best remasters he has played, with one of the best COD campaigns ever and a multiplayer experience that still holds up well today.